Hope you're having a fab time Sylvie..fabulous card! This is gorgeous Sylvie. I love the image and beautiful gold embossing. lovely card! I love the gold embossing too! 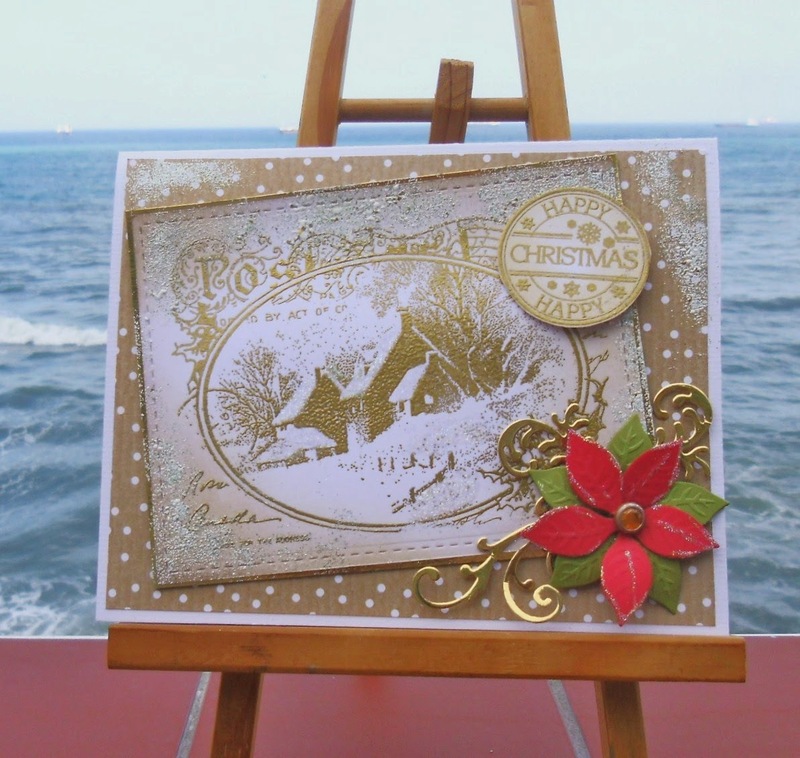 A gorgeous Christmas card Sylvie. I love the stamp. Gorgeous card Sylvie - love the off-set panel. Hope you're having a great weekend. Gorgeous card Sylvie, I like the image the colours and the design. Love that stamp and what a gorgeous card you've made with it. Ooh, I love this scene! And that poinsettia in the corner adds just the right amount of color!